An evening length quartet that uses the movements of babies and children to access a physicality that gives in to the imbalance of not knowing. 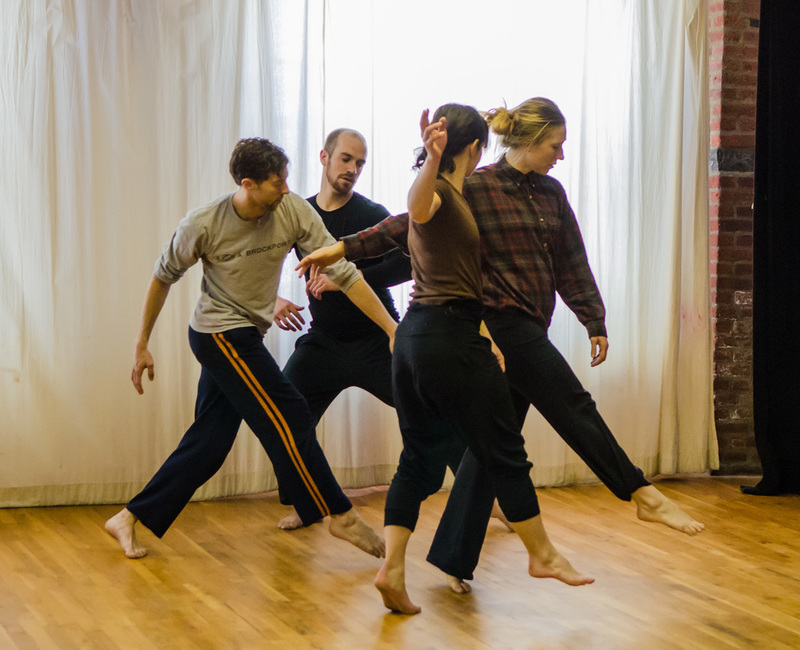 An athletic, improvisational score for five dancers that exhausts the ways in which words fail dance, and vice versa. A layered multimedia performance that triggers memory, emotion and heightened awareness through deeply personal and evocative movement. 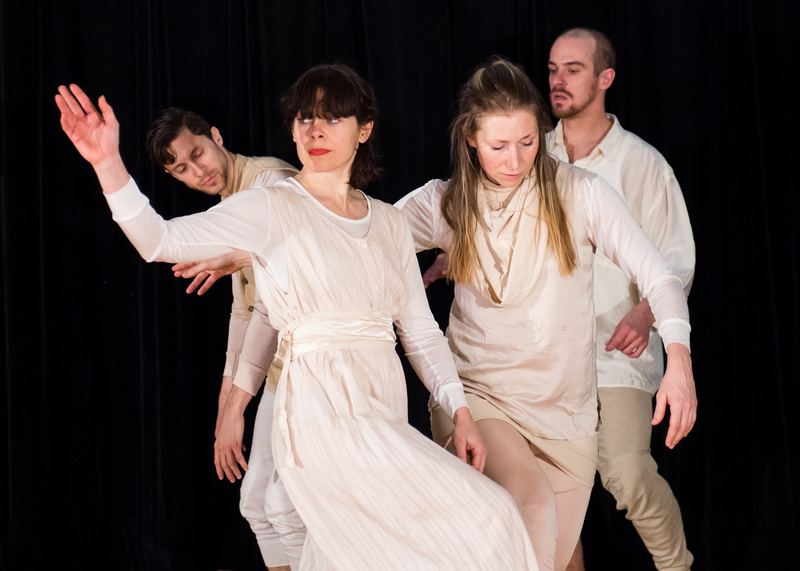 This work cracks open our cultural obsession with happiness through a series of character-based dance theatre vignettes that accumulate to tell the story of a group of humans desperately seeking to be known to each other. An assisted solo unearthing the turmoil, ecstasy, passion and ambivalence in the first year of motherhood. An evening-length solo show for Alexandra Beller in which she struggles to defend her body, mind, liberty and inspiration from government assault through dance, text, puppetry, and ultimately her relationship to the audience.